KATHMANDU, July 1: After the successful second round local elections, the Election Commission (EC) has urged the government to clear the legal and administrative hurdles by July 30 so that the remaining three sets of elections--provincial, national assembly and central parliament-- can be conducted within the constitutional deadline set for completing the entire election cycle. In a meeting with Prime Minister Sher Bahadur Deuba held at Singh Durbar, the election commissioners proposed to the prime minister to announce provincial elections for mid-October. They suggested that the government hold national assembly elections within the last week of October and the central parliament elections within the third week of November. The election commissioners want to focus on these elections soon after local elections are held in Province 2 on September 18. The election body is under pressure to meet the constitutional deadline as the country is likely to plunge into a fresh constitutional crisis if it fails to conduct all the elections as stated in the new constitution. The constitution has a provision for conducting all the elections within January 2018. Following obstruction from the Madhes-centric forces and mainly the newly formed Rastriya Janata Party Nepal, the commissioners rushed to Singha Durbar to draw the attention of the prime minister to the fast approaching constitutional deadline. They reminded the prime minister od their compulsion to work in accordance with the law and conduct the elections as envisioned in the constitution. "Time is running out. So, we briefed the prime minister on the progress made so far and the tasks that needed to be done for conducting the remaining elections on time. Since only a very limited amount ot time is left till the constitutional deadline, we urged him to take prompt action to clear the way forward," said Election Commissioner Narendra Dahal. 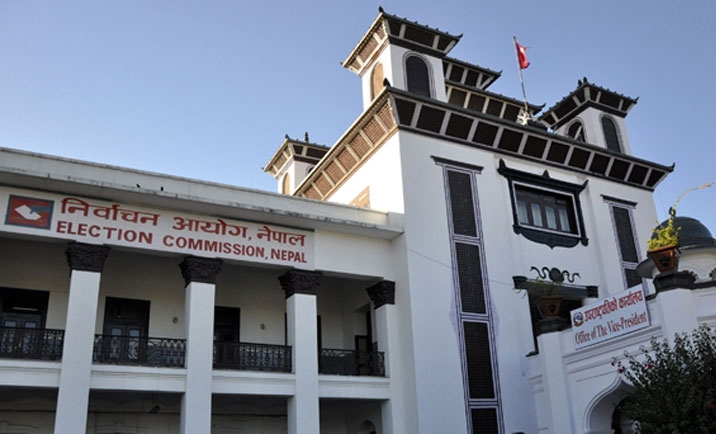 Election commissioners attending the meeting said the prime minister was urged to constitute a constituency delineation commission and amend the voter registration law in view of the changed political context. "The report of the constituency delineation commission must be produced and the legal hurdles removed by July 30," said Dahal. There are currently 240 election constituencies for parliament under first past the post and these need to be reduced to 165 as per the new constitution. Reducing the number of election constituencies to 165 within the deadline set by the election body remains a tall order given that the Madhes-based parties are already protesting against the existing provincial boundaries, said analysts. Agitating Madhes-based parties want a fresh constitutional amendment bill tabled in parliament and endorsed before any election takes place. EC Spokesperson Surya Prasad Sharma underscored the need for amending the existing Voter Registration Act with the upcoming elections in mind. The act has a provision on completing voter registration before the announcement of the poll date. "Many voters will not be able to registered if the act is not amended. So, the commission is for providing an around 15-day period for voter registration even after the poll dates are announced," said Sharma. "This will help to accommodate the remaining voters in the voter rolls and ensure their right to participate in the elections." The EC has already registered 14 million voters for the local elections. 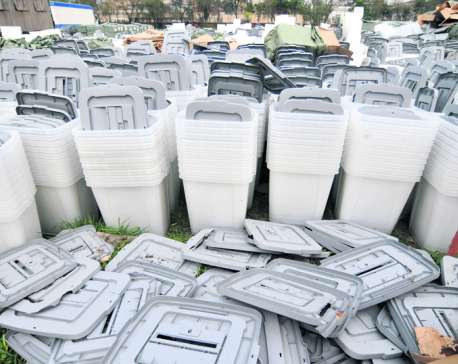 But the election body believes many voters were left out of the rolls while some deceased people are still included.